Do your daughters have the American Girl obsession going on? It is running wild at my house for sure! We have Bitty Baby and American Girl Dolls and my girls LOVE them. The problem is obvious….the stuff costs BIG MONEY. They love all the cute accessories, but mom doesn't like the price tag attached to these items. 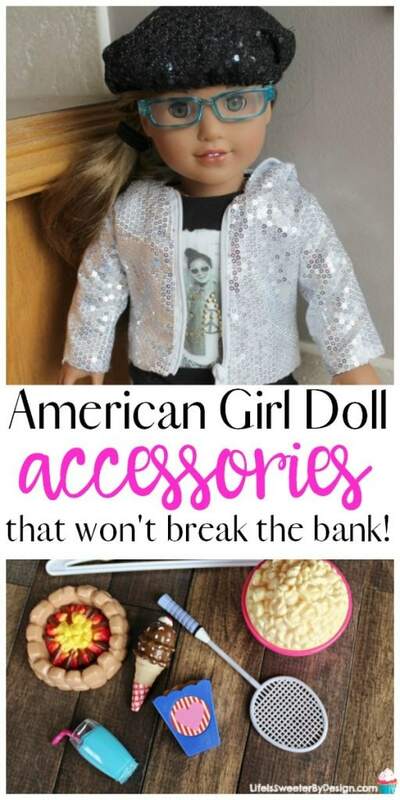 I have found some fun accessories for your American Girl doll that won't break the bank! I have been lucky that besides having a “real” American Girl doll…my girls don't care if the other stuff is “real” or not! They love any doll clothing or accessories they get and don't look at the tags. I will be the first to admit that American Girl has good quality items, but my kids are hard on toys and it is hard to justify spending that much money on doll accessories. 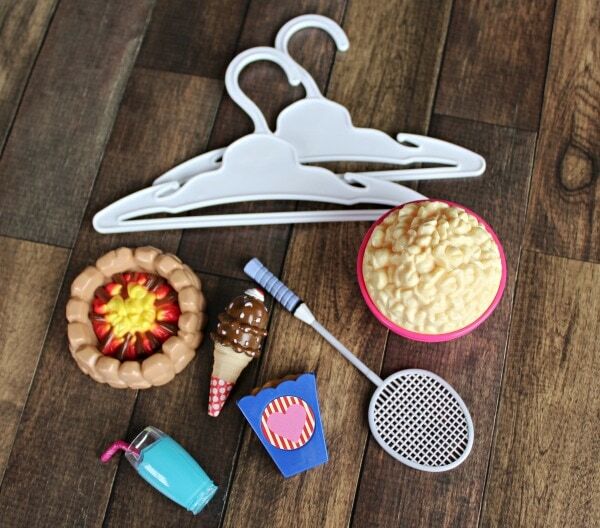 Here are some FUN accessories for your American Girl doll that aren't too expensive! If I need to really LOOK and touch an item I will head to Target because their selection of Our Generation items is good. 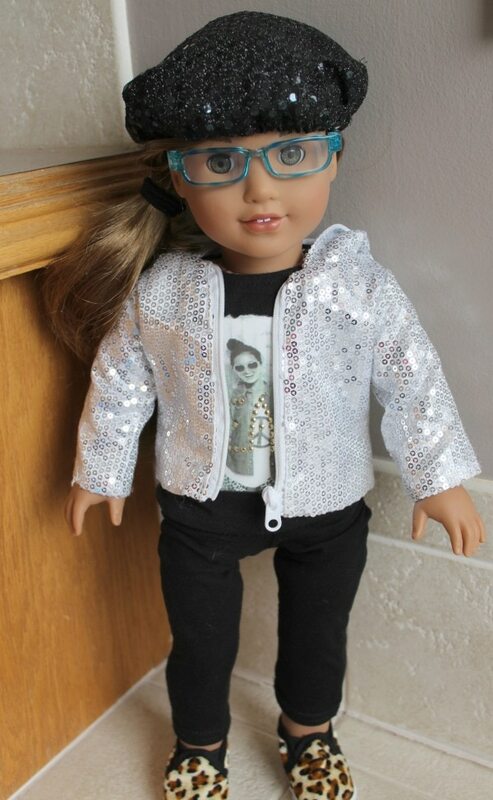 Anyway…back to the fun accessories for your American Girl doll! This 6 Piece Soccer Uniform Set is adorable and since my daughter loves soccer it will be a big hit. The set is team USA and even includes a ball. All for well under $20! Click N Play has a lot of fun accessory sets. Some of our favorites are: Doll Skateboard Set . 9 Piece Doll Puppy Set and the Doll Travel Set . The best doll clothes hangers we have found are the Dori's Boutique Doll Hangers Set of 24 . These fit inside most of the different doll armoires and you get a lot of hangers for your money! 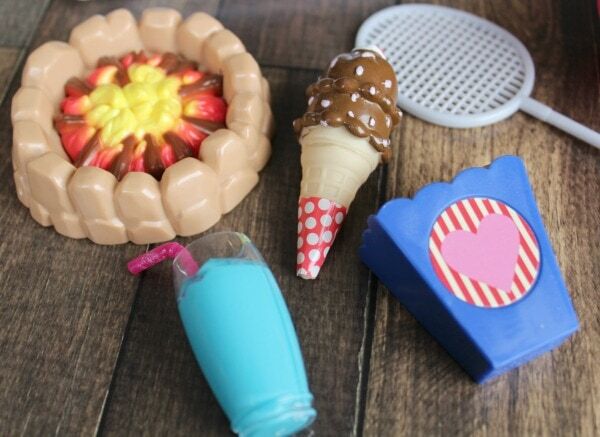 If your daughter is into making cupcakes and baking she will LOVE Sophia's Complete Sweet Treat Set . This set comes with tons of adorable sweet treats. My daughters love to redecorate…and it is easy to do with a new bedding set for 18 inch dolls . This is cute, but inexpensive and will give her doll's bed a whole new look. One thing I love about American Girl is that it introduces girls to lots of professions. This 7 Piece Hot Pink Doctor or Nurse Doll Set is super cute and may inspire your daughter to go into the medical field. It is fun for girls to dress their doll up for Halloween and what doll wouldn't want to be Tinkerbell? I love this 18 inch doll magical Tinkerbell inspired fairy princess outfit ! They could even be twins for Halloween! Skating is always high on our list of fun activities and it is even more fun if the doll has roller skates too! Grab these 18 inch doll skates for a steal. Which Accessories Does Your Daughter Love? My girls love it ALL…which accessories are at the top of your daughter's list? If you want to MAKE some accessories…check out these ideas! Don't miss these EASY hairstyles that even little girls can do for their American Girl dolls!